Is the University of Wisconsin men’s hockey team back? After an underwhelming 2017-18 season in which the Red went a lackluster 14-19-3 overall (8-13-2-1 conference), the squad opened their new season with a sweep of one of the better teams in college hockey, No. 12 Boston College. 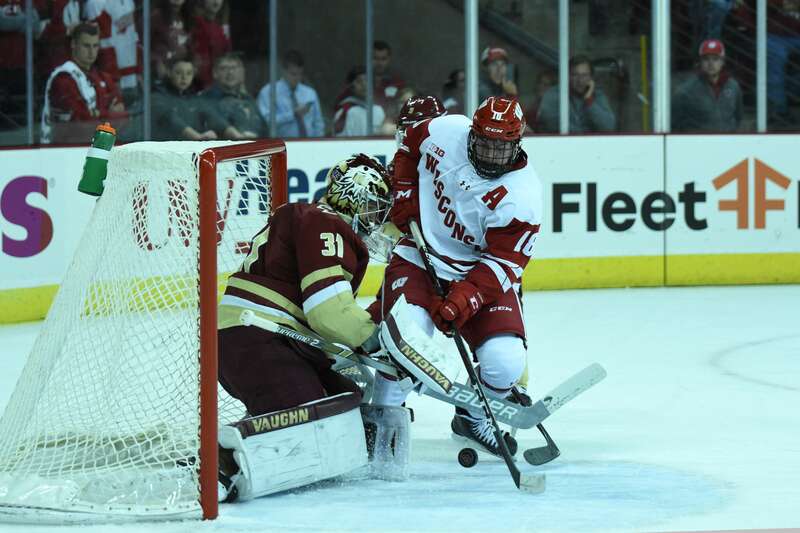 In the regular season opener Friday night at the Kohl Center, the Badgers were able to dominate both sides of the ice, emerging victorious 3–0. 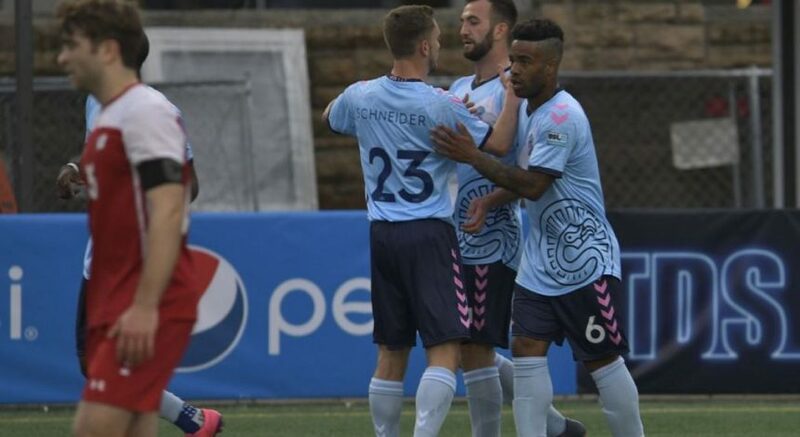 The first period was very defensive, with only 12 shots combined, ending in a 0–0 draw, something that could be expected of two teams playing their first real game of the year. But the struggle to find the back of the net in the first led to a great deal of tension that lasted the entire series, with pushing and shoving from both the Badgers and Eagles coming after almost every whistle all weekend. While the first period was all about physicality and defense, the second and third were when the offenses tried to get going a bit more. The Badgers started on the attack from the second the puck dropped and with 13:43 left on the clock, got a momentum-changing goal from Freshman K’Andre Miller, the New York Rangers 22nd overall pick in the 2018 NHL Entry Draft. The goal visibly upset Boston College, who appeared to play less as a team and more as individuals. Instead of setting up an offensive set and working for a good shot, the Eagles began rushing and looking for fast break, isolation opportunities. But every time Boston College got a fast break, UW goalkeeper Jack Berry was there to save the day, finishing with an astounding 29 saves and zero goals allowed. Wisconsin’s defense led to more offense, and with four minutes left in the second period, freshman Mick Messner broke the game open 2–0 off of his own shot deflection. The Badgers never looked back, getting another goal from sophomore Tarek Baker with 31 seconds left on the clock in the third on an open net. Friday may have been a defensive battle, but Saturday’s matchup was all about the offense. Goals came from everyone and everywhere, but the Badgers came out on top 7–5 to complete the sweep. Just 38 seconds after the opening drop, right wing Sean Dhooghe started things off by poking one past Boston College goalkeeper Joseph Woll. Less than a minute later, Eagles forward Oliver Wahlstrom tied it up at 1–1 but the Badger attack continued nonetheless, and within minutes took back the lead with a goal from sophomore defenseman Wyatt Kalynuk. The second period was a story of highs and lows from Wisconsin, who took a 4–1 lead on back to back goals from Tarek Baker and Will Johnson, but then proceeded to give it all away in the last five minutes. Boston College scored three straight goals to tie it up, two of which were from wing David Cotton, who ended up finishing with a hat-trick. But the Badgers didn’t let it get to them, netting another set of goals from Linus Weissbach and Brock Caufield to go up 6–4. BC then went on to get one more before Kalynuk got his second score of the game to seal the win at 7–5 with five seconds left. When asked about starting out 2–0 in a conversation with UW Athletics, coach Tony Granato downplayed the team’s early-season success. “There’s lots of areas that we can get better in, but the one thing that we know we have, we’ve got workers, guys that play hard, energy and a lot of young players,” said Granato. Let’s hope that work keeps up and the Badgers can keep the wins coming on their upcoming road trip at Clarkson before returning to the Kohl Center for another back to back Oct. 26 and 27 with Michigan Tech.